The whole cast is here! Ultra Street Fighter II: The Final Challengers was one of the few video games at WonderCon 2017 so you know we had to get our hands on it.The Street Fighter franchise was shown in many of the Nintendo Switch trailers, but many were skeptical to only find out it was rehash of the classic Street Fighter II coming to your Nintendo Switch this summer. Is this the fighting game we all want, or just another ploy for Capcom to take more of your money based on nostalgia? At first glance, everything looks and feels the same as any iteration of Street Fighter II. Playing as Ryu felt just as good as it always has been, and inputting the commands was fairly easy on the Pro Controller that was provided. Putting away my opponent, whose controller took quite the beating, was a breeze and I circled back around to give it a few more goes. I was surprised at the amount of costumes each character had, each having the classic ones as well as some new ones I have never seen before. The game ran smoothly and had no frame drops during my time. 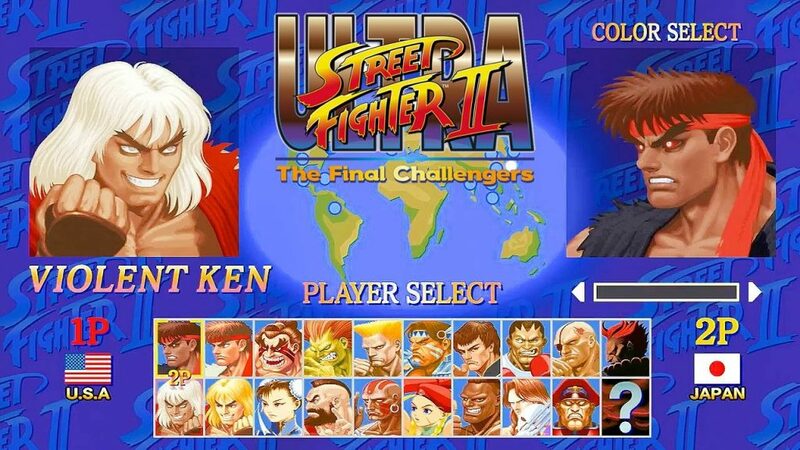 They’ve fine tuned all the details in hopes that this version will be the definitive Street Fighter II. Capcom has included support for a single joycon which allows a second player to challenge you at any moment. Players also have the choice between the classic look or the updated HD graphics. Online mode will be available to test your skills against the world. A new first person mode called “Way of the Hado” will take advantage of the motion controls as you take on the Shadaloo. The game appears to be everything a Street Fighter fan could want. They’ve made improvements where needed and balanced the game. Having all of this on the go will prove to make for some classic fights between friends and all challengers alike. Even if you don’t pick up the game for any of the new features, it’s still going to fulfill that classic fighter void. 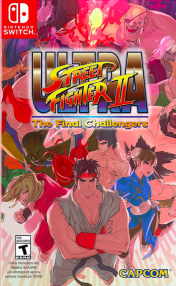 Ultra Street Fighter II: The Final Challengers comes out May 26, 2017 for the Nintendo Switch.